Before getting to the list of the best tires for drifting, let's take a brief look at its formation. Most people will tell you that drifting is stupid because it’s a slower way of entering a corner, but you are not most people. You want to have fun when driving and want to shred those tires to pieces! Welcome to the club – drifting is my gusto too. Not that I’m good at it, to be honest – I may still need a few years before I become a master, but that doesn’t stop me from having fun. I mean, I still remember the days when I borrowed a Toyota 86 for the weekend and had a big smile on my face. The last time I was so ecstatic about something was the first time I tried the roller coaster as a child. And that vehicle isn’t even fast! The problem is, every time I returned the vehicle to Toyota, the tires were already destroyed. Drifting may be fun, but it can be taxing on tires, especially if you put normal tires on your vehicle and drift the hell out of it every single day. And don’t let me start talking about competitions – for these events, you need some serious rubber that can withstand all the torture you put it through. And you usually won’t find that rubber at your nearest tire dealer. We’re talking extreme sport tires here, that are specifically made for very fast driving and drifting purposes. Of course, you can use any tire for drifting, as long as it has enough “meat” on it so it doesn’t explode, but c’mon, you want the real deal if you’ve come this far into the article. 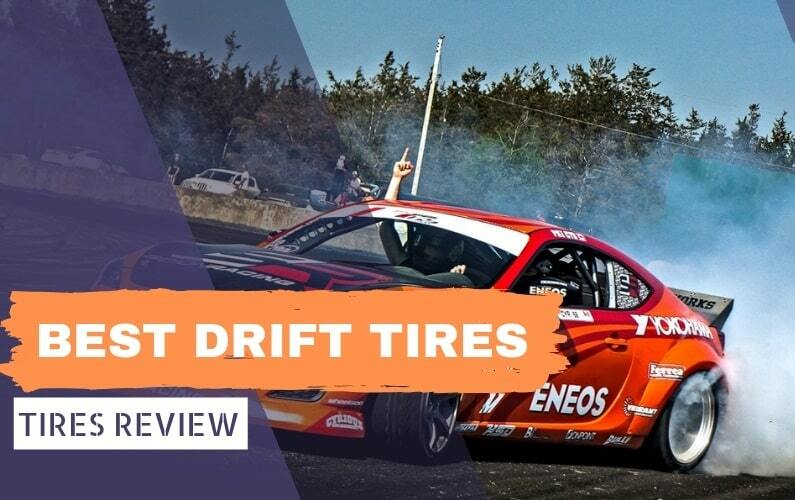 To help you with choosing the best tires for drifting, be it a professional drifting event, or just amateur stuff, I’ve created a list of the best 5 drifting tires you can buy right now. Because drifting tires are a niche market, I’ve also created a sort of a buying guide, where I’ll explain everything there is to know about drifting tires. Accelera is probably an unknown brand to most of you, but they are one of the best-known tire makers for sports and racing vehicles. Their 651 Sport model is especially popular with racing drivers and professional drifters, and you can see a lot of these on drifting events. While I haven’t tried them by myself, people I trust tell me that they are the real deal for drifting, even on very powerful cars. What makes them so good? Well, they’re one of the few tires that won’t fall to pieces even when there is no tread left. With other tires, even when there is some tread left they can start to laminate, or in other words different parts of the tire will start to lose cohesion and the tire will fall apart. The Accelera 651 Sport is a different animal and it can be literally used to death. Even though it is mostly used at drifting events, the Accelera 651 Sport is excellent for proper racing driving as well. They offer very precise control through the steering wheel, agile cornering, and a lot of grip even at higher speeds. Remember, these are summer tires and best to be used in dry conditions, unlike some other extreme sport tires. The best thing about the Accelera 651 Sport is that it’s not very expensive and can even be considered a budget option. This is important here – if you drift a lot, you’ll need to change your tires often and saving a few bucks every time you do that certainly doesn’t hurt! The Ventus family of Hankook tires has come a long way since it was first introduced. Back in the day, it couldn’t hold a candle to the best premium extreme sport tires, but today things are different. The extreme performance Ventus R-S3 is a perfect example of that – the first version of this tire was good but not excellent, while the second version is a big jump in both performance and durability. 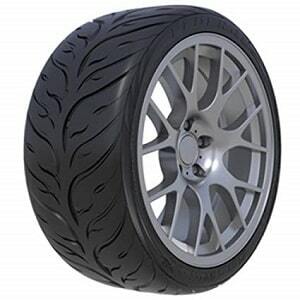 I find this tire excellent for any kind of sporty driving, be it precision racing driving or drifting. 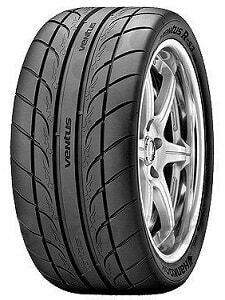 The Ventus R-S3 is also cheaper than premium competitors, which as I’ve said previously with the Accelera 651 Sport is very important – drifting is very taxing to tires and you’ll need to replace them often. The thing I love about the Ventus R-S3 is that they keep their shape even when driven to the absolute limits. You can thank the Racing Carbonblack Silica Compound technology that allows the tire to have a 200 Treadwear UTQG rating. On the track, the Hankook has tons of grip and provides the driver with excellent precision when cornering – also very important for drifting. Even though it is primarily meant to be used in damp conditions, the Ventus R-S3 will also work in light rain, which is another plus. However, I would advise against using them in heavy rain, as they don’t resist hydroplaning very well. At least not like normal high-performance summer tires do. Toyo is a very popular company in the drifting and racing community. They produce high-quality extreme performance tires, at a lower price point than competitors such as Michelin, Pirelli, and Bridgestone. My choice of Toyo if you’re into drifting is the Proxes R1-R, a tire that is almost without fault when it comes to drifting and precise racing driving. And how would it not be – the tread compound is a high-grip, silica-reinforced one that’s specifically made with drifters in mind. The directional Arrowhead tread design, on the other hand, helps for better grip and traction in both dry and wet conditions, something that you won’t find in almost any other extreme performance tire. Unlike the Accelera and Hankook for example, this tire can be driven in rainy conditions with a lot more traction and overall stability. And let’s acknowledge the fact that the tread design is simply stunning, shall we? As with every tire on this list, the Toyo Proxes R1-R has the 200 Treadwear UTQG rating, which means that you can trust this tire will not fail you even when cornering or drifting very hard. And if you don’t trust Toyo, then why not trust all the professional drifters that use this tire? Can a list of the best sport tires be viable without a Falken tire in it? Probably not! 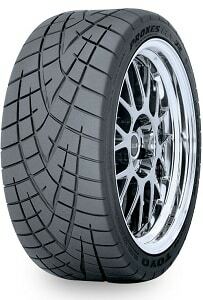 The company is known for producing excellent sports tires at lower price points than premium competitors. For this list, I think that their Azenis RT615K+ model is the best choice because it offers a blend of characteristics that are “tailor-made” to performance driving and drifting. Being an extreme performance tire, the Azenis RT615K+ is specifically developed for muscle cars, sports cars, and street rods. And what do all of these cars do? They drift! Thanks to the Falken’s Extreme Summer Performance-targeted compound, a set of these tires will give the driver unparalleled levels of lateral grip in the corners, and precise handling even at the limit. The high-tension casing and twin high-tensile steel belts reinforced by a spirally-wrapped nylon joint-less Cap Ply (that was a mouthful) ensure that the tire will keep its shape even when driven extremely hard, like through a series of corners while drifting at the same time. 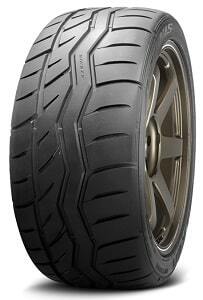 Despite being primarily designed for use in hot and dry weather, the Falken Azenis RT615K+ offers very good performance in wet conditions thanks to the circumferential grooves and notched tread blocks. When you put the price of the Azenis RT615K+ in the equation, it becomes clear that with the performance it offers, this is one of the best tires for extreme drifting and performance driving right now. 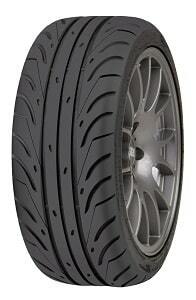 I’ll finish this list with the cheapest extreme performance tire of the bunch, the Federal 595 RS-RR. Don’t worry though – this tire still offers excellent performance and durability that you only associate with premium tires in this category. It’s no coincidence then that it’s very popular with racing drivers around the world, especially those who drive for smaller teams with limited budgets. Even though it is the budget offering here, the Federal 595 RS-RR is a result of a lot of R&D and testing made on real tracks. The tread compound in this tire is infused with silica and provides the driver with excellent lateral grip and precise steering control. The same compound is very durable – up at the level of the best drifting tires out there, despite the lower price point. One of the things that immediately catches attention is the flame-shaped grooves, which make any sports car look even better. They also have a purpose and contribute to decreased hydroplaning and better grip and traction in wet conditions. Of course, this only applies if the weather is warm – these tires should never be used in cold weather, or near freezing temperatures. If you really want to start drifting your vehicle daily, choosing the right set of tires is only the first step. There are several other things to consider and I will try to explain every single one of them, starting with the size of the tires. Even if your vehicle has smaller rims, it is recommended to go for larger rims and then wider tires with a low-profile sidewall. This will give you much better control in the corners, which is crucial for drifting. However, the rear tires should always have a taller sidewall, because they are the ones that are taking all the beating through the corners. The smaller the sidewall, the higher the chance the tire explodes. The front tires, on the other hand, are those that steer the vehicle and these should be with smaller sidewalls and probably not so wide. If the front tires are too wide, you risk losing response, which is also crucial for drifting. Then, you need to pay attention at the tread as well. The rear tires should have less grip, because “duh”, we are talking about drifting here. However, you still want these tires to have a bald tread, as even when you’re drifting, lateral grip is what keeps the car controllable. Deep grooves should be avoided though, as they can promote higher temperatures in the tire and make it more prone to destruction. The rear tires should also have more rigid sidewall in order to endure in the most demanding conditions. The front tires, on the other hand, should have a very aggressive tread compound and should provide an extremely high level of grip. Losing grip on the front axle is not something you want in a drifting vehicle. Other than having a look at the tread and the depth of the grooves, make sure that the tread compound is heat-resistant as well. Tires can become exceedingly hot when drifting even after a few corners, and it is very important to have a compound that can resist these high temperatures. If not, the tire can be blown out to pieces. Literally. In the end, inflation also plays a big role in how tires react to the inputs of the driver and how durable will the tire be. 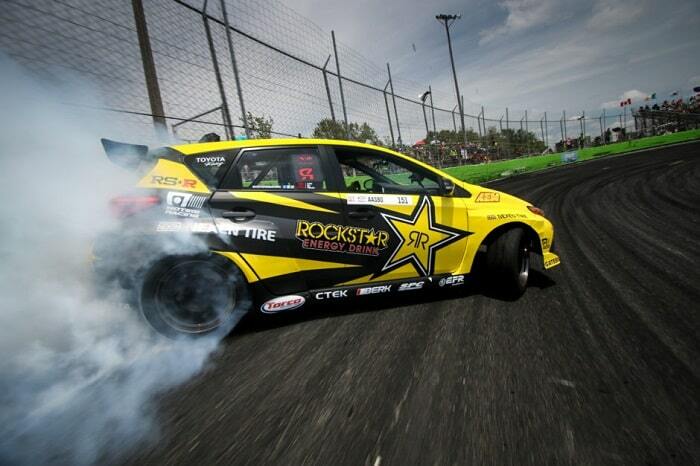 Usually, drift racers keep the rear tires a bit overinflated so that they are even stiffer and lose grip earlier. This also promotes durability and makes the whole tire a bit stronger. The front tires should be inflated to factory specifications though – this is where you need all the control and precision. After we’ve exhausted every information there is about drifting tires, the last thing to ask yourself is how serious you are about drifting? If you want to drift only casually on the track or some empty parking lot, then overpaying for tires is not the best option. Just buy a pair of good high-performance summer tires and call it a day. However, if you plan on using your vehicle on drifting events, you may not only need to respect all the rules on how to take care of your tires and how to choose the best one. Oh, no. You’ll need several sets of tires, as even the best ones may last you one racing weekend at best. Drifting is an expensive hobby, with the most money being thrown on the tires themselves. But, don’t let me discourage you. It may be expensive, but drifting is probably the most fun thing to do with your sports car. Okay, it’s definitely the most fun thing to do, with the best drift tires.